Anatomically in love. Original artwork, adapted from antique image and pattern. 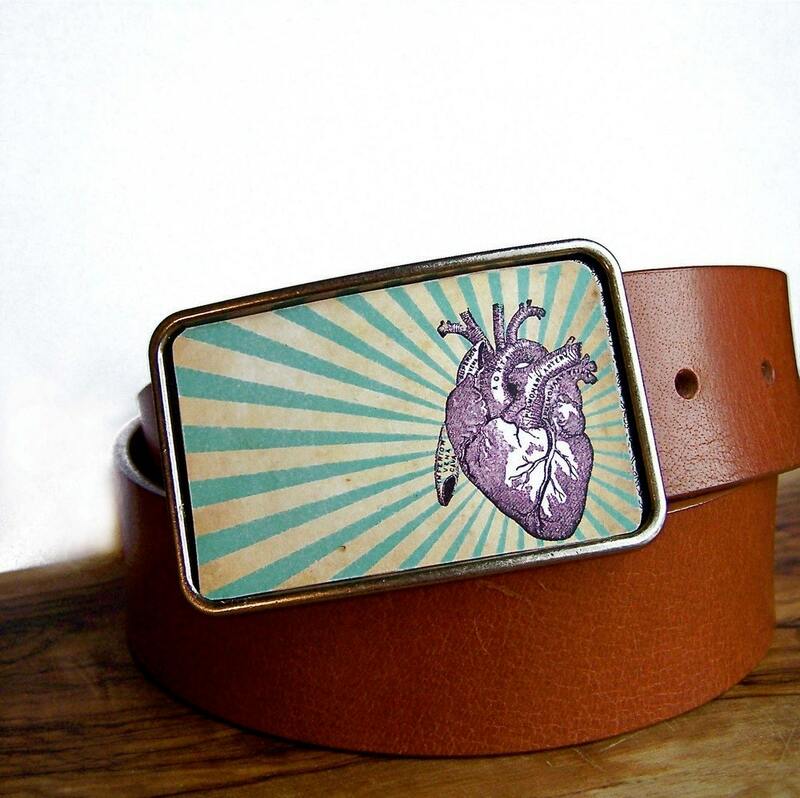 This buckle measures 2 1/2" by 3 1/4" and will fit a 1 1/2" to 1 3/4" snap belt. Artwork is transferred onto leather, then sealed for durability. Your new buckle will arrive wrapped and ready for gift giving.